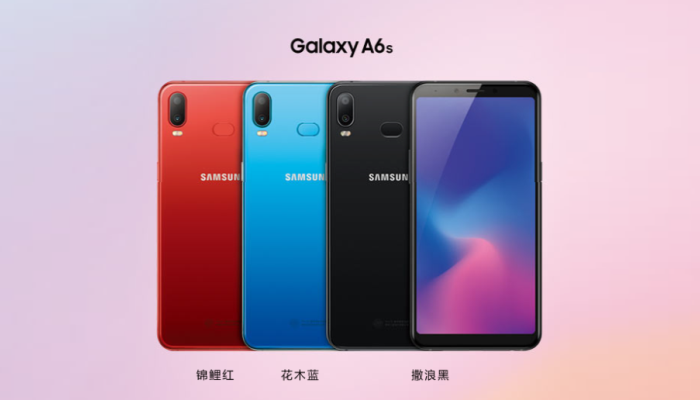 Samsung Galaxy A9s, Galaxy A6s Unveiled in China - Playfuldroid! Yesterday, Samsung unveiled the Galaxy A9s and Galaxy A6s smartphones in China. The Galaxy A9s the world’s first smartphone with quad rear cameras that was announced as Galaxy A9 (2018) in Malaysia earlier this year. The Galaxy A6s is a cheaper phone with dual rear cameras. Both phones are fueled by Snapdragon 660 and come in color gradient options. The Galaxy A9s has a 6.3-inch S-AMOLED screen whereas the Galaxy A6s is equipped with IPS LCD screen of 6 inches. Both phones carry support for FHD+ resolution. The Snapdragon 660 chipset and 6 GB of RAM are present under the hood of both the smartphones. The Galaxy A6s comes in 64 GB and 128 GB storage options whereas the Galaxy A9s is equipped with 128 GB of native storage. Both phones are equipped with microSD card slot for more storage. The Galaxy A6s has 12-megapixel + 5-megapixel dual camera setup and a frontal facing camera of 12-megapixel. It is equipped with a 3,300mAh battery. The Galaxy A9s has 8-megapixel + 10-mgeapixel + 24-megapixel + 5-megapixel quad camera setup on its rear. For shooting selfies, it has a front camera of 24-megapixel. It includes a 3,800mAh battery. The 64 GB and 128 GB Galaxy A6s are respectively priced at 1,799 Yuan and 2,199 Yuan. It comes in color gradient options such as Black, Blue and Pink. 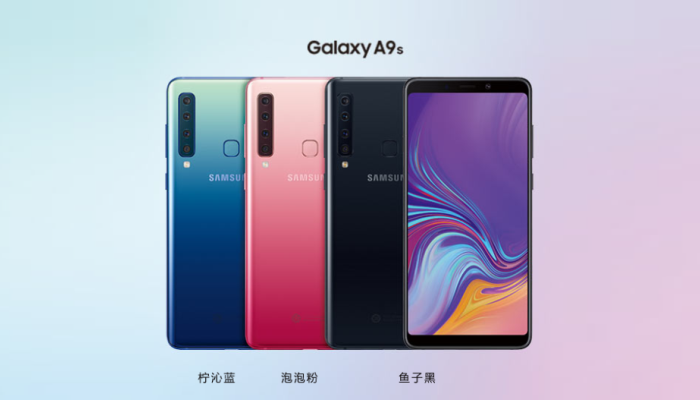 The 128 GB Galaxy A9s costs 3,499 Yuan and its color gradients variants are Black, Blue, Purple and Red. The pre-sales of both phones have started in China. On Nov. 1, the Galaxy A6s will go on sale whereas the Galaxy A9s will be available for purchase from Nov. 11.